I love this brand, and fortunately it’s easy to find, but it’s CHOE not CHLOE. Wow, it’s not like I had a bunch of pictures of the name or linked to the website or anything…geez! 🙂 Thanks for the heads-up! I’ve fixed it now. 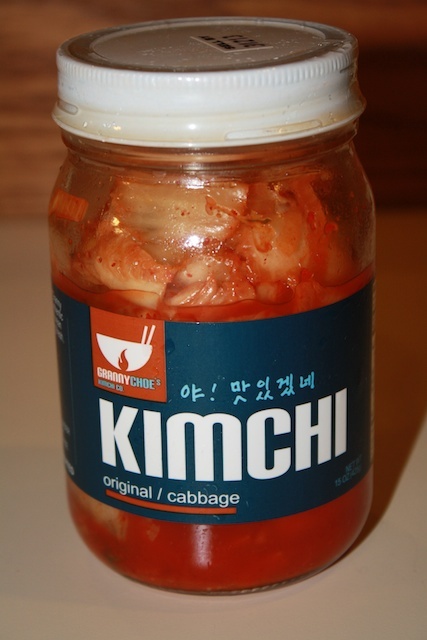 I’d be pretty certain that they use gochujang. As you mention, the taste is very different! Whaah… I think I’ve seen this brand somewhere recently. I like what it says on the label (in Korean) ha ha. Good thing it turns out to be true. I can’t believe they have 3 varieties! 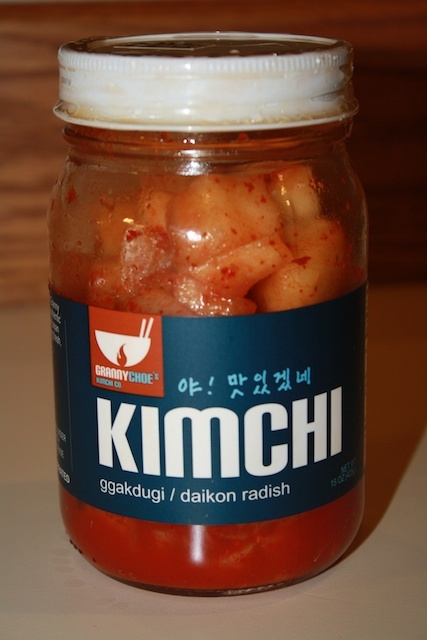 Thanks for the warning about the kkakdugi–I love the stuff, but the soft texture would gross me out. I like it crisp and crunchy. I will look for the other two, though! 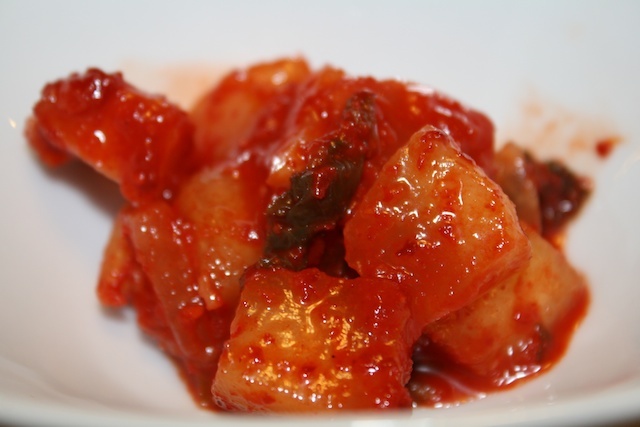 I think baek kimchi is often vegetarian anyway, right? 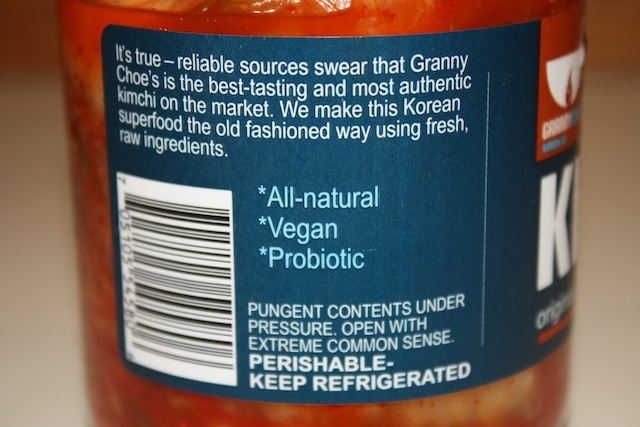 But Grandma Choe deserves a try because of the vegan branding, which should be encouraged. I’d actually be interested in somebody out there commenting on the kkakdugi, to see if they are all like that or we just got a bad batch, because the others were good, so that one really stuck out. 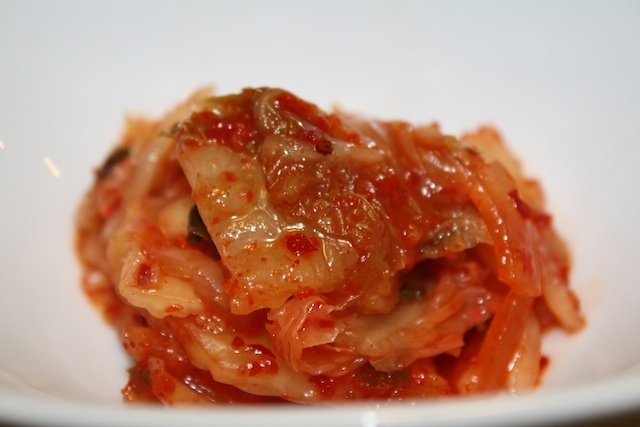 And you are right, baek kimchi is usually going to be vegan anyway. Hope to have some more posts in the near future. 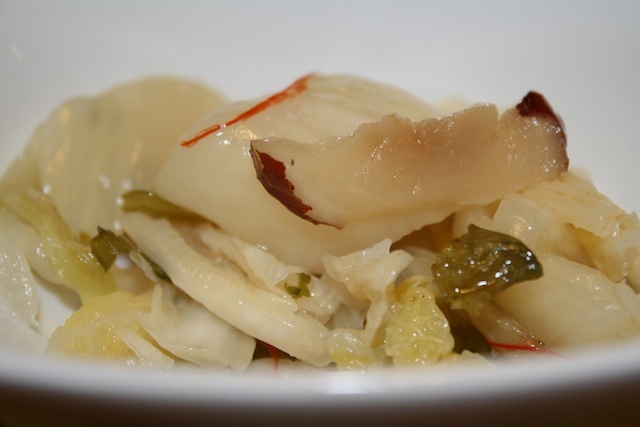 We have pictures and recipes collected, just can’t seem to find the time to them written up! I can’t say anything against your absence since mine has been lacking even more! 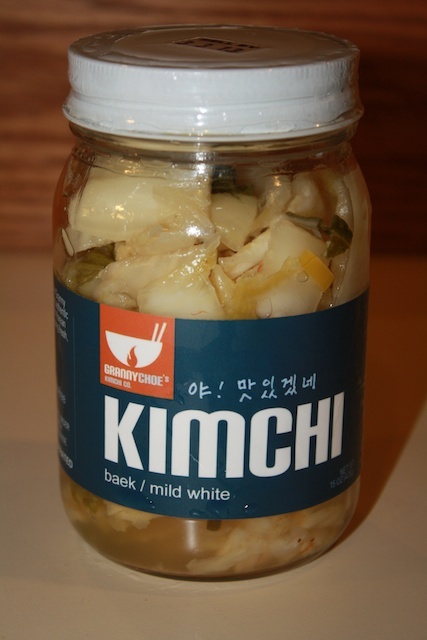 But I am so excited about this kimchi, I’m not a vegan but I am allergic to the shrimp and shellfish so I have a bit of difficulty finding them without that in them. This sounds good thanks for the review! We have not. We will check it out, thanks! Hope you enjoy! Thanks for visiting us!